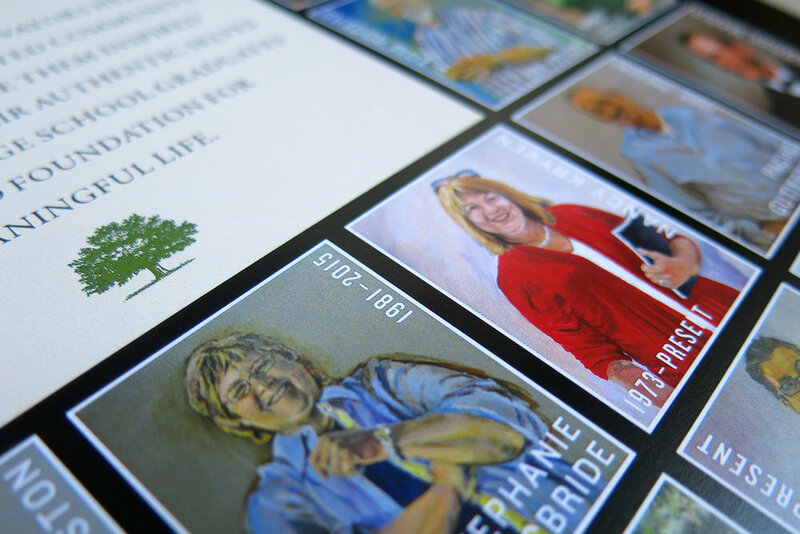 Many of the fondest memories of graduates of this Quaker school revolve around beloved teachers. 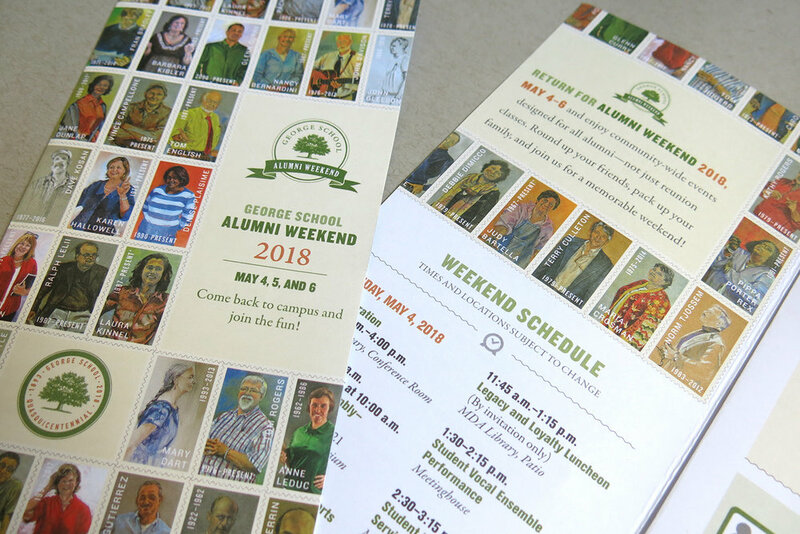 So when it was time to create an invitation to the school’s Alumni Weekend, we developed one that features existing portraits of longtime faculty and staff, displayed like a sheet of postage stamps. It was a success. Though the weekend is always well attended, this year drew record numbers. 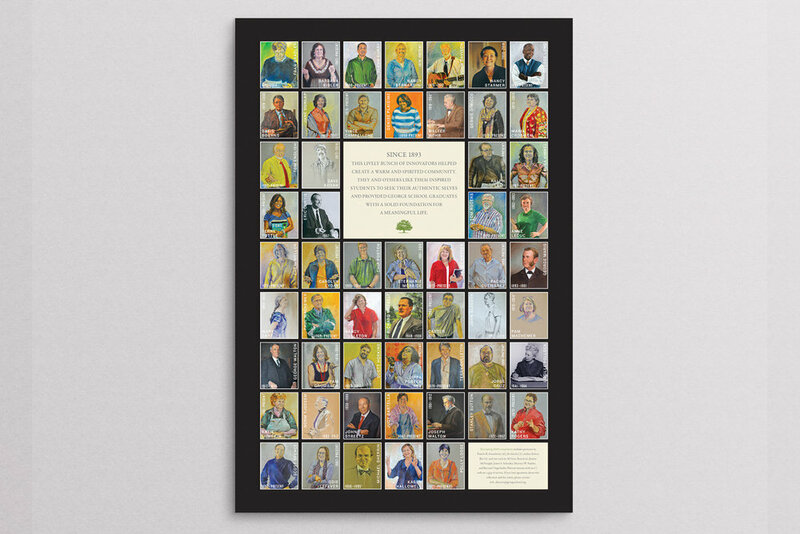 Posters inspired by the invitation were distributed, and a similar triptych was hung in the school’s Main Building. 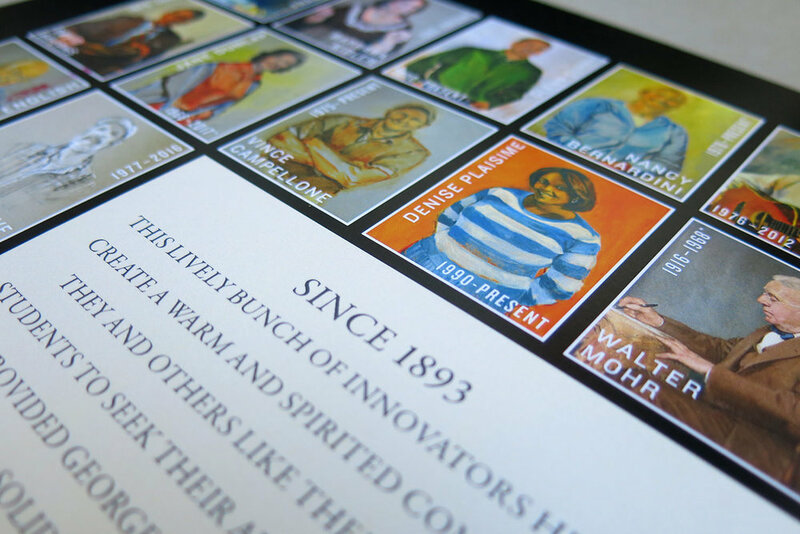 The “stamps” approach continues to be rolled into other projects, including materials we are designing for the school’s 125th anniversary celebration and fundraiser. 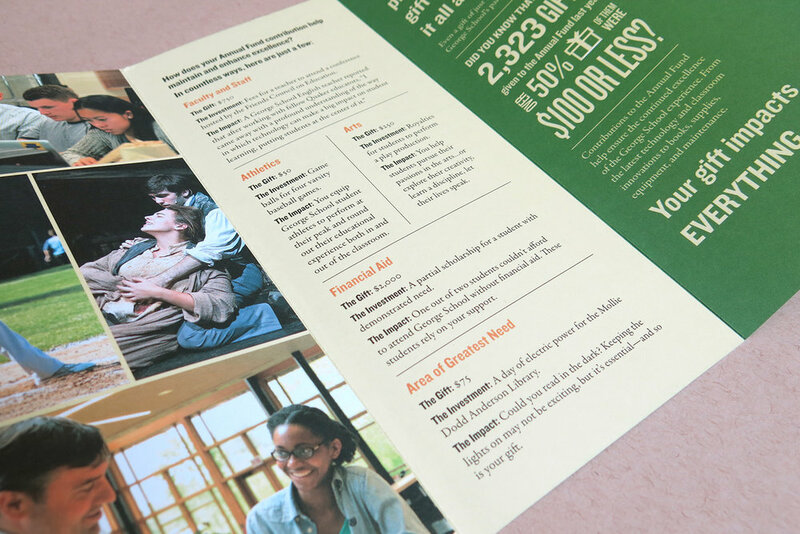 Other projects here include an Annual Fund Brochure and Day of Giving materials.